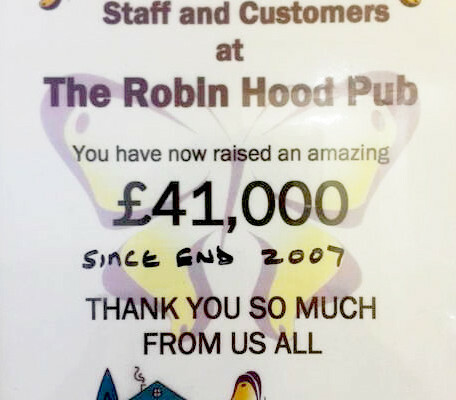 To the fantastic Staff and Customers at The Robin Hood Pub. You have now raised an amazing £41,000 since end 2007. 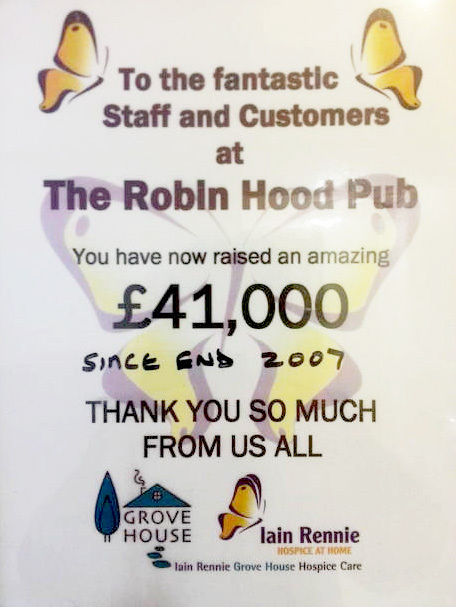 Thank you so much from us all at Iain Rennie Hospice at Home and Grove House.